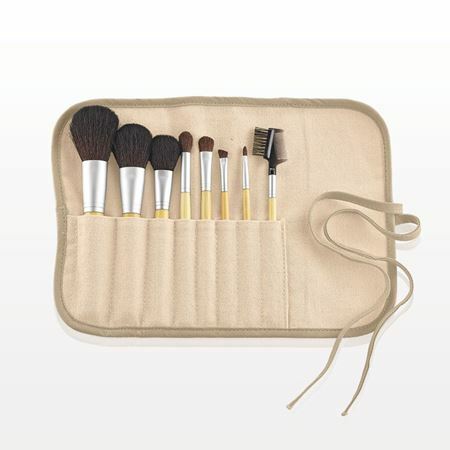 This luxurious 8-Piece eQo-Friendly Brush Set with convenient hemp/cotton pouch features all the essential brushes needed for each step in the makeup application process. This versatile set can also be sold at retail or offered as a promotional giveaway. 1,000 Sets to Print a Logo on the Brush Handles and/or Pouch or Change the Handle or Hair Color. 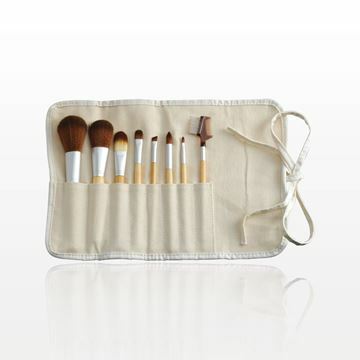 For an environmentally friendly option, select this luxurious 8-piece synthetic brush set with convenient hemp/cotton pouch. 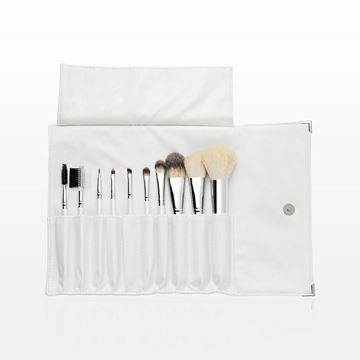 This versatile set can be sold at retail, used as an essential item during makeover consultations or offered as a promotional giveaway. Each brush was selected for an important step in the make-up application process. 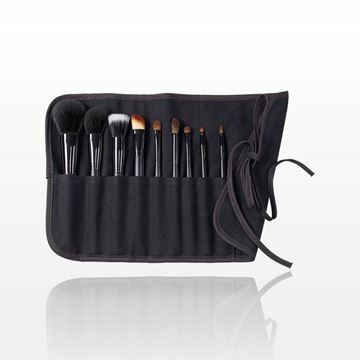 This professional 9-piece brush set with cotton roll & tie pouch from our Signature Black PRO Brush collection is the perfect starter set for makeup artists on the go. The set can also be branded and used for promotional giveaways. Perfect for travel or retail sale, this lovely 10-piece professional brush set has all the necessary tools for flawless makeup application. 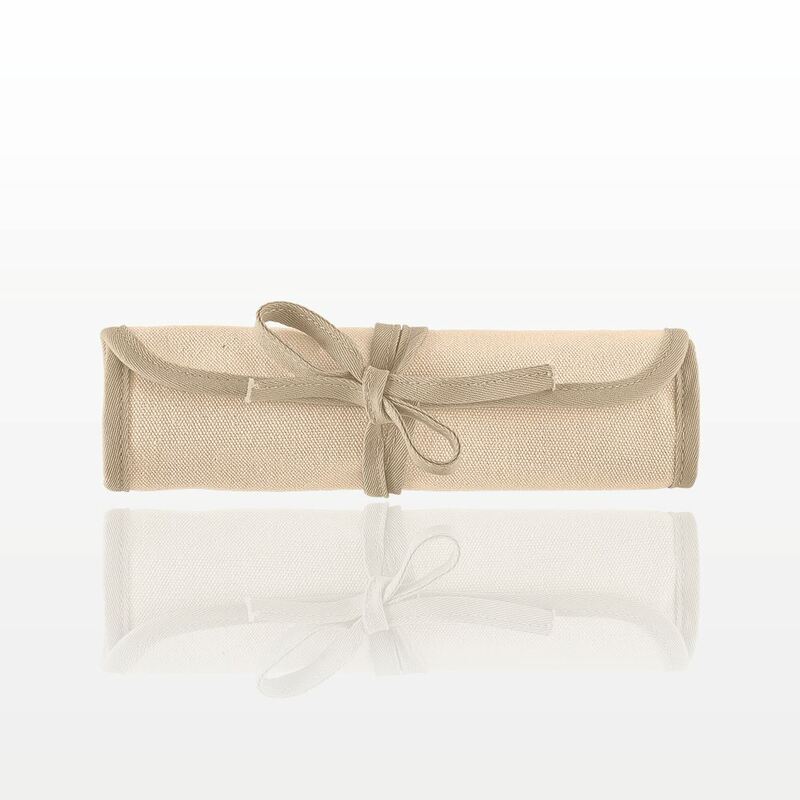 This set conveniently comes packaged in a luxurious white leatherette fold and snap case. 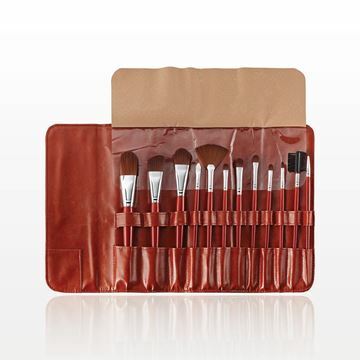 Perfect for professional makeup artists or for retail sale, this luxurious 12-piece brown makeup brush set is packaged in a folding pouch with snap closure and protective inner flap. 102 of our 2018 Catalog.